Linden Homes were constructing a row of townhouses into the shell of an existing mill building at their Gresham Mills development in Woking. 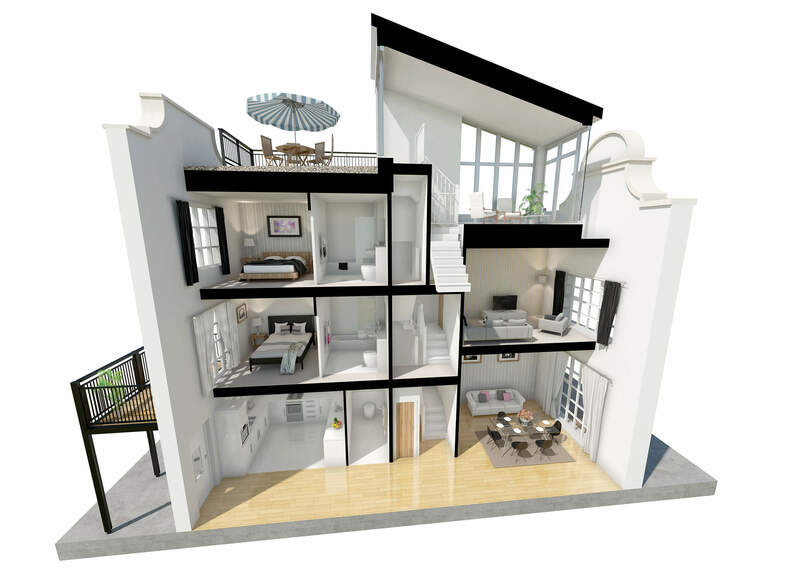 The unusual layout with half floors meant traditional 2D floorplans within the marketing brochure were slightly confusing. It was also difficult for the sales consultants to help potential purchasers visualise themselves living in the properties. 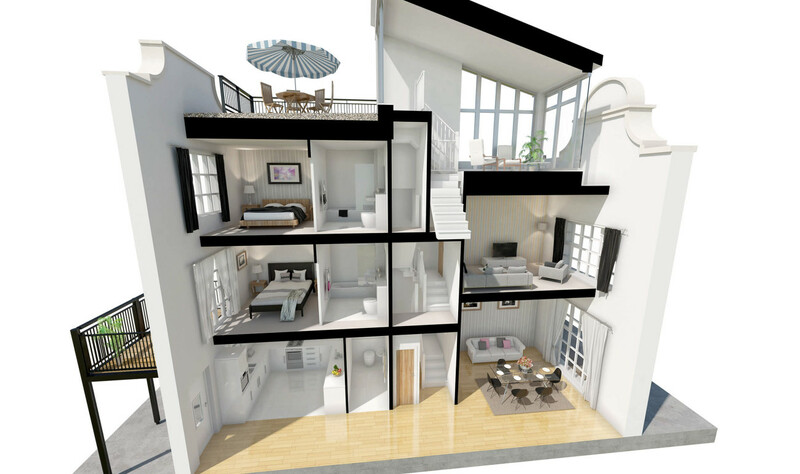 Home* produced a cross section CGI cutaway of the building that would better demonstrate the layout.